Artwork : Photo taken from WikiMedia Commons and licensed under the Creative Commons ShareAlike 2.5 license. This story is used by Bruce as an example of a fable in his column about fables as short-short stories. The frogs looked at her beak, which was like a sword for stabbing frogs. “That’s what I thought you said,” said the heron. She went back to fishing. 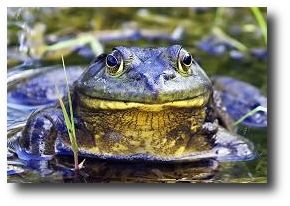 “And you’ll stay with me, no matter what?” said the bullfrog. “We’ll stick to you like your shadow,” said one frog. The bullfrog was still reluctant. The others had to pledge their faithfulness all afternoon. Finally, they had repeated so many times that they would stick to him like his shadow that the bullfrog agreed to lead the delegation. “Like your shadow! Like your shadow!” chorused the frogs. Stars shone in a moonless sky. It was very dark. There was just enough starlight to see the raccoons when at last they emerged from the undergrowth. There were five of them, a mother and her grown kits. 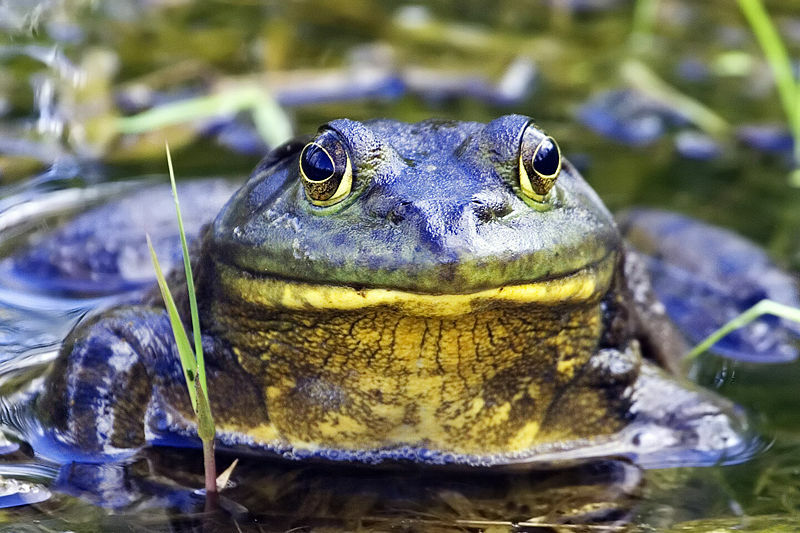 “On all of ours!” the bullfrog said. He expected a chorus to back him up. There was only silence. He turned and saw, just before he was eaten, that he was the only frog ashore. For even your shadow slips off in the dark. Return to the Bruce Holland Rogers column where this story is discussed. Copyright © Bruce Holland Rogers. All Rights Reserved.